Product prices and availability are accurate as of 2019-04-12 19:44:03 EDT and are subject to change. Any price and availability information displayed on http://www.amazon.com/ at the time of purchase will apply to the purchase of this product. With a shut-off head of 37 feet and 3/4" solids-handling capability, the 280-series by Liberty covers a wide-range of low-head to mid-range pump applications. 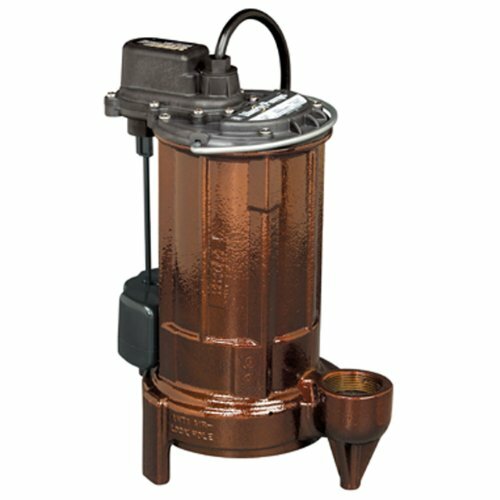 Designed for STEP systems, mound systems, liquid waste transfer and high output sump applications, you can count on the 280-series to offer superior performance. Designed with Liberty's unique one-piece cast iron body and quick-disconnect cords available in 10' and 25' lengths. High-output 1/2 hip submersible with rugged cast iron housing.